All applicants follow the "Applying for Candidature" steps below. If you are wishing to also apply for a Scholarship, some additional information is required. If you are applying for a Scholarship, please follow the "Applying for a Scholarship" steps below. Check your eligibility for a Higher Degree by Research at JCU (HDR Requirements Clause 1.1). Do you have a research project and a Primary Advisor in mind that you would like to work with? If not you will need these before you apply. Please Search for Projects, and view the Register of Advisors to assist you with this. Make contact with your preferred Advisor to confirm they agree to take on the role. Simply approach them by email. You can complete the expression of interest for a Higher Degree by Research to accompany the email if you prefer. Once your prospective Advisor has agreed to take on the role, complete APP-FORM-01 Higher Degree by Research Application Form with your prospective Advisor(s) and ensure that you have the required documentation ready. Send the link for submission of Referee Reports to your two nominated referees. These should be referees who are able to provide information about you in an academic or professional context, such as previous research advisors/supervisors, lecturers, teachers or employers. 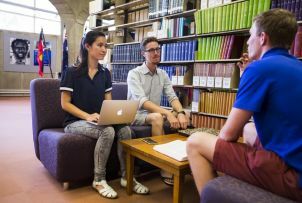 Applicants applying for James Cook University (JCU) Funded Postgraduate Research Scholarship to start in 2019 must apply by 30 September 2018. For more information on the types of scholarships available, please visit our Postgraduate Research Scholarships Page. Submit an application for Candidature as above. If you are already enrolled in a Higher Degree by Research at JCU, you do not need to complete another application for Candidature. Once you have completed your Candidature application, go to the 'My Scholarship Applications' tab in eStudent where you submitted your application for Candidature. 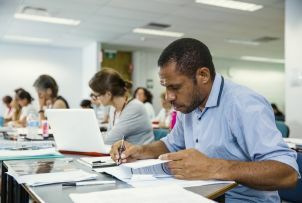 Select JCU Postgraduate Research Scholarships 2019. By selecting this scholarship, you will be considered for all the Postgraduate Research Scholarships for which you are eligible, starting from that of the highest value. Follow the prompts, using the JCU Scholarship Publication Table, Professional Experience Form, or AIMS@JCU Application Coversheet where relevant. Hit Submit, and a member of the Graduate Research School Team will contact you as soon as possible.